Typically, we get together first thing. We want to get to know you a little, and get a strong vibe for the type of event you're planning. This is most easily done in person, but we can make other arrangements if need be. From then on, we mostly work via email and phone, until it's time to mail your pretties! Our process is a true collaboration, a visual conversation if you will. We want you to end up with what you envision, but even better! To start the process, we’ll have you fill out the form over on our contact page to get some general information about the project. Your responses will help us get a feel for the size, style, and vibe of your event. We’ll be in touch within 2 days to find out more details! After we get some info from you, and probably have gotten together in person, we will then send you a proposal with specs and pricing. This is all done online, so no printing or mailing to worry about! We collect a 50% deposit to order the materials needed, and then we start designing! The final balance will be due when we are ready to go to print. After we receive your deposit, we will get started on designing something gorgeous for you! We’ll send you a first draft to review - accompanying pieces, if there are any, will come after. Let us know what you think, and we’ll work together until it is absolutely perfect! Once everything has been double-checked and the remaining balance has been paid, the order is sent to print! We hold local orders at our Midtown studio for pickup. Our daytime hours are generally 9-5. For our out-of-town clients, we can arrange shipping. 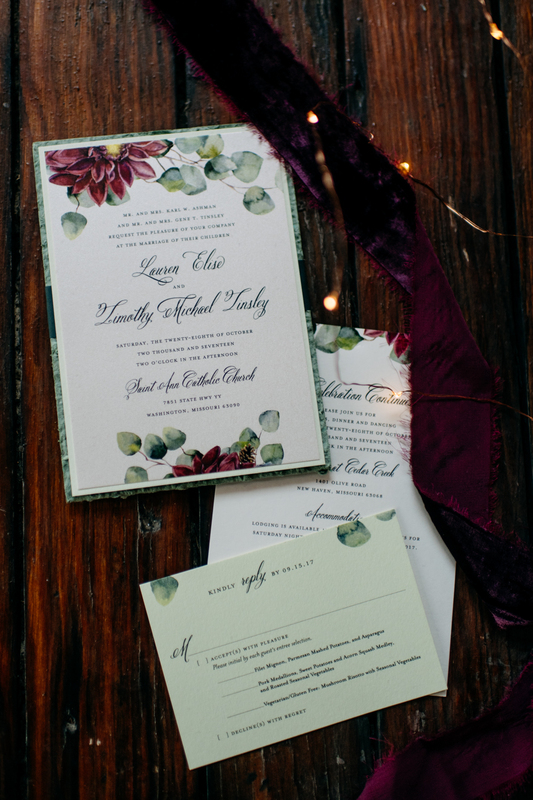 Our process ensures that your invitations arrive on time and in pristine condition!